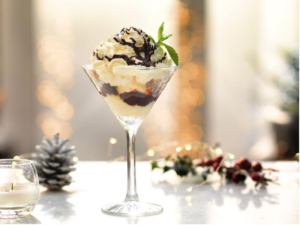 Celebrate the Festive Season with a Superlative Christmas Menu from Prezzo – Art, Food, Travel and Fashion! 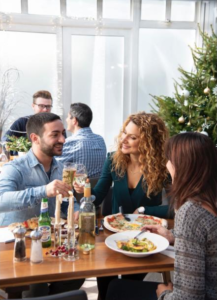 Plenty to enjoy in the countdown to Christmas this year at Prezzo, the UK’s favourite pizza and pasta restaurant, with the widely anticipated launch of Prezzo’s Christmas 2018 set menu. Available all day every day, Prezzo’s new Christmas set menu launches across its 188 UK-wide restaurants from Tuesday 27th November until the New Year. Perfect for a Christmas party or to enjoy with a group of friends, the Italian-inspired menu includes fresh new, seasonal dishes with innovative flavour combinations, alongside tempting Italian classics, developed by Prezzo’s executive chef, Paul Lewis, and his talented team. “Our brief was to create dishes and drinks with an indulgent feel that also celebrates the best of the winter produce,” says Paul Lewis. “We started working up ideas for the Christmas set menu back in May using special Christmas ingredients and referencing Italian culture and food trends to influence what we create. We hope the Prezzo Christmas set menu inspires customers to try our great, new ingredient combinations presented in a modern and stylish way. On Prezzo’s Christmas Set Menu, you’ll find five delicious starters, including four vegetarian options, a tempting selection of 12 flavourful main courses and four indulgent, seasonal desserts. Paul and his team worked on improving and refining a particularly successful dish from over the years – the Christmas Cracker Calzone – the classic Italian folded pizza filled with roasted chicken, stuffing, pancetta, roasted chestnuts, winter vegetables and finished with a sloe gin cranberry sauce. Prezzo has 188 restaurants nationwide and all offer a wide variety of pasta and pizza on menus available across all of its restaurants for both lunch and dinner and to suit all budgets and palates. Separate allergy-aware menus are available across all Prezzo restaurants. To book visit www.prezzo.co.uk for more information and to find your nearest restaurant.